We took a look at the articles, book reviews, and other items published in CLA Journal. primarily by decade, from the journal’s launch in 1957 through 2012, the latest year for which we’ve compiled data on the periodical. We were interested in the shifting publishing productivity over time. We immediately took note of how many articles and book reviews were published during the 1970s, especially in comparison to the previous and subsequent decades. What led the organization and journal to facilitate such a substantial body of scholarship during that time period? What was happening with other journals in the field at that time? 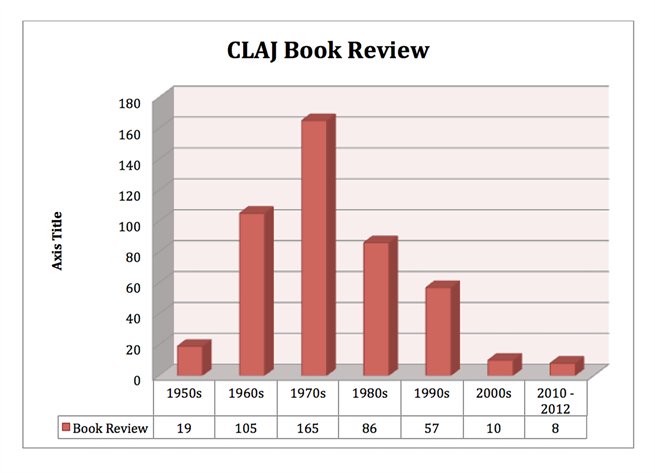 Based on the findings, we are now planning to take a closer look at the 1970s in the history of scholarly production for CLA Journal. 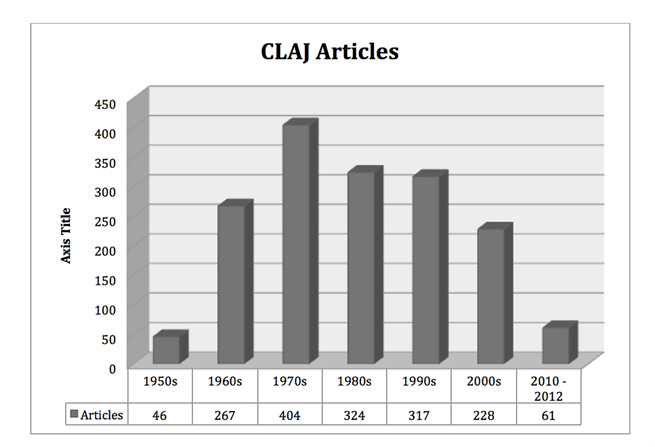 Ever since the 1960s, CLA Journal has published more than 200 articles in a given decade. 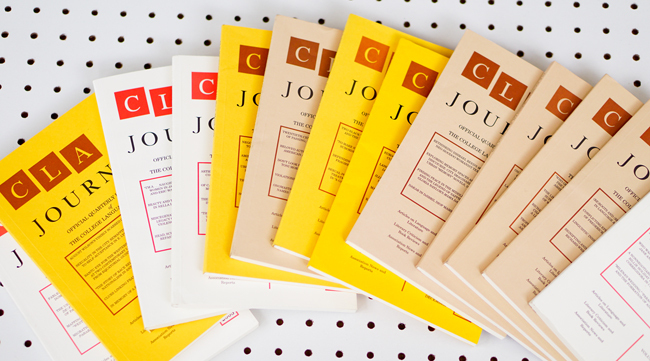 During the 1970s, 1980s, and 1990s, CLA Journal published more than 300 articles every decade. However, we noticed that after 1970, the publishing productivity in the journal began to decline. We also took a look at book reviews. The levels of productivity mirrored what we noticed with articles. The declining appearance of book reviews was noteworthy to us though because of our awareness that book production has increased over the years. So how do we account for the paucity of reviews? And what is the relationship between the publication of scholarly articles and book reviews? We are looking forward to pursuing more research on these and other questions concerning publishing productivity, CLA Journal, and the broader field of African American literary studies.